GWCT News & Advisory: Will you help protect the countryside? It is truly uplifting to witness nature in all its glory at this time of year. Birds singing, hedgerows bursting into life, wildflowers blooming and people taking advantage of the milder weather to explore our beautiful natural heritage. The countryside is there to be enjoyed by all and indeed more people should be experiencing our rural environment and learning about nature’s bounty. 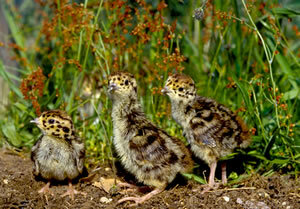 We at the Game and Wildlife Conservation Trust have studied for decades the fragility of our wildlife and are extremely in tune with how vulnerable birds, mammals and insects are especially when nesting, hatching and rearing young. We therefore call upon all those countryside users to be aware of our rural environment and ask that simple measures are taken to prevent unnecessary disturbance of species such as skylarks, dunnocks and grey partridges. Steps like keeping dogs on leads, avoiding walking, riding or cycling on rough, grassy areas and keeping to pathways are hugely beneficial at this time of year. Many farmers and land managers invest time and money into providing suitable habitats for wildlife and we can all play our part in protecting this wonderful resource.